Moscow said the trip was called off due to a scheduling conflict. A visit to Vietnam by Russian Foreign Minister Sergei Lavrov was abruptly called off Monday for "unexpected reasons", Hanoi said, hours after President Vladimir Putin was re-elected for a fourth term. Lavrov, who has long been part of Putin's inner circle, was scheduled to begin his visit on Monday morning. But Vietnam's Ministry of Foreign Affairs announced the cancellation in an email sent to reporters just an hour before his planned meeting with President Tran Dai Quang. "Due to unexpected reasons, the visit to Vietnam of Russia's Foreign Minister will not take place as scheduled," the emailed statement said. "We will inform specific time of the visit to press agencies later," it added. 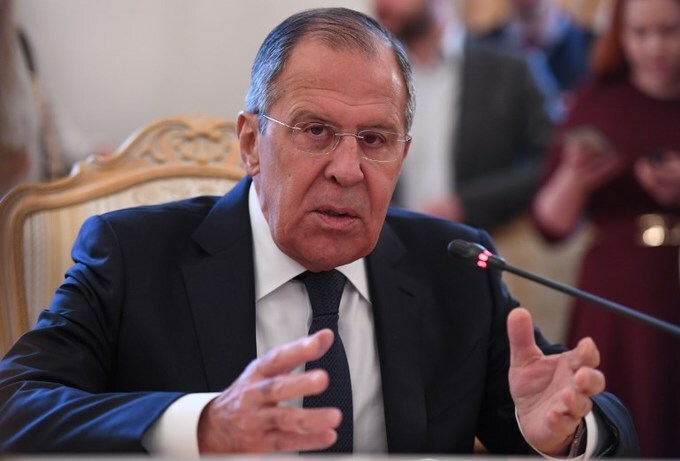 Lavrov was also due to meet his Vietnamese counterpart on Monday, along with the head of Vietnam's Communist Party, and hold a press conference. A security source told AFP that Lavrov had not traveled to Vietnam. "No reasons known yet," the source said on condition of anonymity. Moscow said the trip was called off due to a scheduling conflict, according to reports. "Due to a change in the minister's work schedule, the dates of his trip to Vietnam are being revised," Russian agencies reported, citing the foreign ministry. The 11th-hour cancellation came amid a deepening diplomatic crisis between Moscow and London after former Russian double agent Sergei Skripal and his daughter were exposed to a nerve agent in the English city of Salisbury on March 4. London has accused the Kremlin of orchestrating an attempted murder on British soil using banned chemical weapons. Britain expelled 23 Russian officials earlier this month. The Kremlin reciprocated over the weekend, booting out 23 British diplomats and halting the activities of the British Council in Russia. Russia is one of Hanoi's earliest allies, establishing relations in 1950 while Vietnam was still occupied by the French. Russia is one of Vietnam's leading trading partners today, and a top military equipment supplier for the country.